Let the Good Times Roll: birth of rock n roll 1955 - 1963 by Author Darryl L. Gentry , is about the songs , the singers , the stories that take you on a documented journey back to 1955 to learn how rhythm & blues and rockabilly became the first and last music teenagers called their own. Darryl was born in Bay Shore , New York in 1941. He received his B.A. degree in Psychology from the University of South Florida. His Masters degree in Clinical Social Work from Barry University. 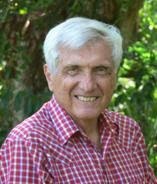 Prior to retirement, Darryl was a license clinical psychotherapist for over 30 years , graduate school instructor , medical school instructor, and published author of Brief Psychotherapy. In 2011 at age 70 , he hiked to the bottom of the Grand Canyon. He has been teaching Let the Good Times Roll :birth of rock n roll 1955 - 1963 since 2010. Darryl's book was published in June of 2013..